This week was full of surprises. I thought I lost something that was found when rearranging my office, the other day. 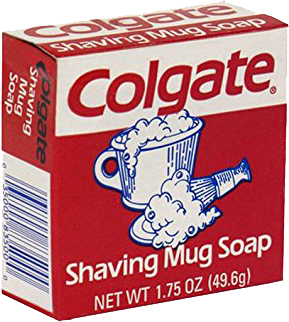 There it was a small square red and white box and the name Colgate Shaving Mug Soap. I thought for sure it was gone. I had lost it years ago, I had no time to hunt for it back then but there it was. Don't let this little shaving soap fool you. If I could find another one I'd grab it up because I did a quick google search and if you can find one you're going to be spending a lot more than I did. I purchased mine on eBay and without any other bidders jacking up the price I was able to get two of them at 4 dollars I still don't know where the other one is. At the time I was into vintage straight and DE razors, soaps, creams anything. I was buying up so much crap I had to just stop and take note at what I was doing but that was a long time ago and after my stay at I still get the bug every now and then. I think I need Wet Shavers Rehab. Sometimes a hobby is so much fun you just have to tell someone and that's what I hope to do here with my experience using Black Ship Grooming Captain Joe a coffee scented shaving soap. Now I've had a few of them before but not one of them came with a coffee bean right in the soap. You have to love the sense of humor of artisan Kelly Hogan. The soap comes in a white tub with a black screw on lid. 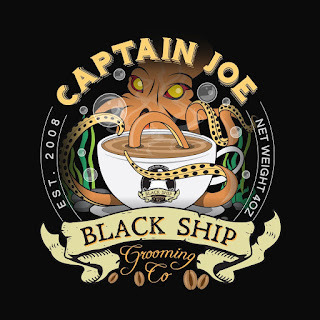 The label is where the fun starts I like the cartoon styles of Black Ship's labels like Captain Joe's and I'm always waiting to see what they will come up with next. If you're new to wet shaving and you’ve never heard of Proraso Red just go online and order yourself a tube you’ll thank me later. The reason I tell you this is Proraso no matter what color you purchase is basically flawless when it comes to performance and scent. Why not start out with one of the best shaving creams around so you can judge the rest of them with. Proraso has wonderful products but not everything from them I like, for example, the aftershave balm I just didn’t like the feeling of it and this, of course, is a personal thing. They have a product line which is pretty simple to understand. 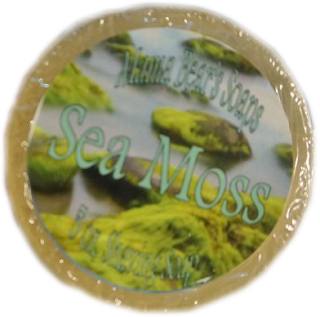 We have Red (Sandalwood), White (Lime & Apple), Green (Evergreen), and Blue (Amber Musk). Each line includes Pre Shaving Cream, Shaving Soap Jar, Shaving Cream Tube, Shaving Foam Can, Aftershave Lotion, and Aftershave Balm. For this review, I’ll just concentrate on the shaving cream tube. Company: Mama Bear Soaps Inc.
I’ve been looking closely at glycerin soaps lately and when you look at what’s available you must include Mama Bear they come very close to the top in popularity. This well-known company has been around for some time making handmade 100% natural shaving soaps which are available in over 100 different fragrances from Bath bar soaps to shaving soaps they have it all.